You’ve introduced Everything DiSC Workplace® to your team or organization and want to continue or reinforce what everyone learned. 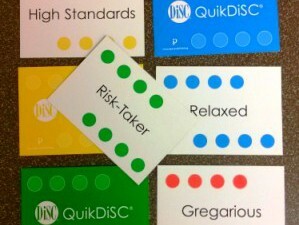 But after discussing DiSC styles, going through A Day in the Life and activities in the Everything DiSC Workplace Facilitation Kit, what can you do for a follow-up? Plenty. Be sure to let your participants know about MyEverythingDiSC.com and remind them of it periodically. Users can review their profile and style, the styles on their team, and learn more about DiSC. It’s great to review before joining a new team. Review your manager’s priorities before your next review. Compare your report to that of someone new you’ll be working with. Knowledge isn’t kept alive unless it’s used. So why not schedule a follow-up training session a few weeks after your first? Ask participants to send you questions about Everything DiSC or how to apply it. Review notes from the initial session for topics in which they showed interest. To review styles, you might want to use a fun set of slides like the one using Dr. Seuss quotes, Lemony Snicket quotes or common sayings. Then you could dive deeper than the first training allowed. You could cover DiSC history (also found on MyEverythingDiSC), people-reading, the 12 expanded DiSC styles, dot placement and priorities, or validation studies. Ask everyone to complete an Everything DiSC Style Guide or update their current one. Discuss how participants have been using their new knowledge about DiSC. You can run comparison reports in your EPIC administrator account or ask individuals to share with each other via MyEverythingDiSC.com. 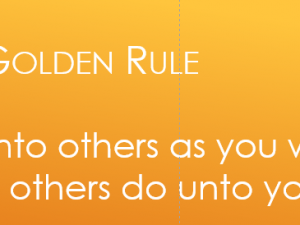 This can be a reminder about the application or a formal request after someone new has joined the team. 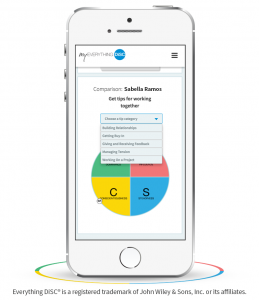 Comparison reports are a great tool for a new person to review before meeting new team members. It can also provide valuable information to both parties when conflict is affecting morale and/or productivity. Run a Group Report to show the predominate style(s) in the group and discuss the “Issues to Consider” included in the report. Print off the team culture posters and discuss how your team works, its strengths and weaknesses. What does it mean for the team to be heavily weighted to one style or to have no members with a particular style? If there is a predominant style in the group, do people of different styles feel pressure to conform to the group style? Conflict is present daily in our lives so why not learn more about how to make it more productive. Everything DiSC Productive Conflict helps individuals gain insights into their own response to conflict to manage their response to conflict situations. 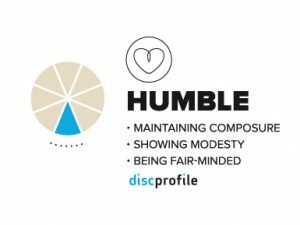 The profile also explores the destructive and productive conflict behaviors typical of each DiSC style. This can generate very interesting discussions during coaching sessions. Everyone has a manager or is a manager. Why not learn more about motivation, delegation, and other issues with Everything DiSC Management? Since it has a section on working with your own manager, it’s not just for current managers. It can be used to initiate productive discussions between manager and staff. Everyone needs to be able to sell to others, even if what they are selling is ideas. Everything DiSC Sales can be helpful in many situations. 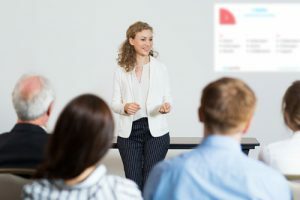 Encourage participants who don’t have “sales” in their job title to think in terms of whom and how they want to influence and support others instead of focusing on the term “sales”. Developing strong leaders is important in any organization. Everything DiSC Work of Leaders introduces a model which works best when more than a few people in the organization understand it. Your participants can discuss issues around Vision, Alignment and Execution and how they and their organization can improve. Are your leaders wanting to learn even more about themselves in the workplace? Then offer them a 360 review with Everything DiSC 363 for Leaders. Our clients include companies who have put their people through more than one DiSC profile. 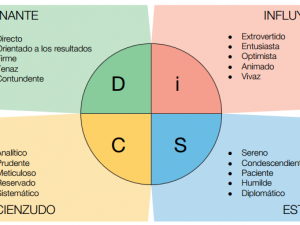 Sometimes instead of offering another Everything DiSC profile, they will use The Five Behaviors of a Cohesive Team which includes a review of DiSC. The Five Behaviors of a Cohesive Team can take teams to a more effective and productive level. Already having a shared grounding in the Everything DiSC model can accelerate progress toward building more cohesive teams. We offer several activities on this blog or visit Tips & Activities at DiSCProfile.com for more ideas. We also suggest asking other trainers for help through the DiSC Practitioners and Fans group on Facebook.